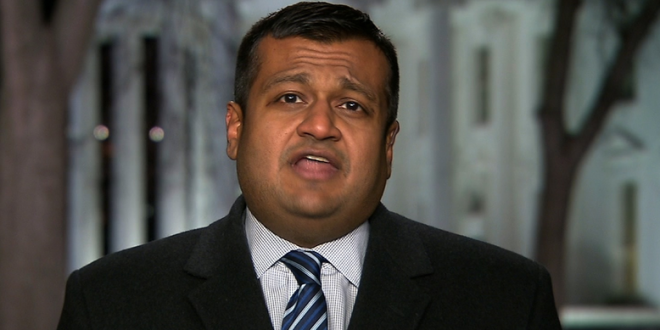 White House Deputy Press Secretary Raj Shah will fill in for Press Secretary Sarah Huckabee Sanders today in the James S. Brady Press Briefing Room at the White House. Before joining the administration, Shah called President Trump a “deplorable,” and also worked on campaign ads against him. During high school, Shah volunteered for Representative Chris Shays and interned for Senator Joe Lieberman. He cast his first vote for George W. Bush, and interned in the White House in 2005. In 2010, Shah worked as campaign spokesman for New Mexico candidate for governor Susana Martinez.